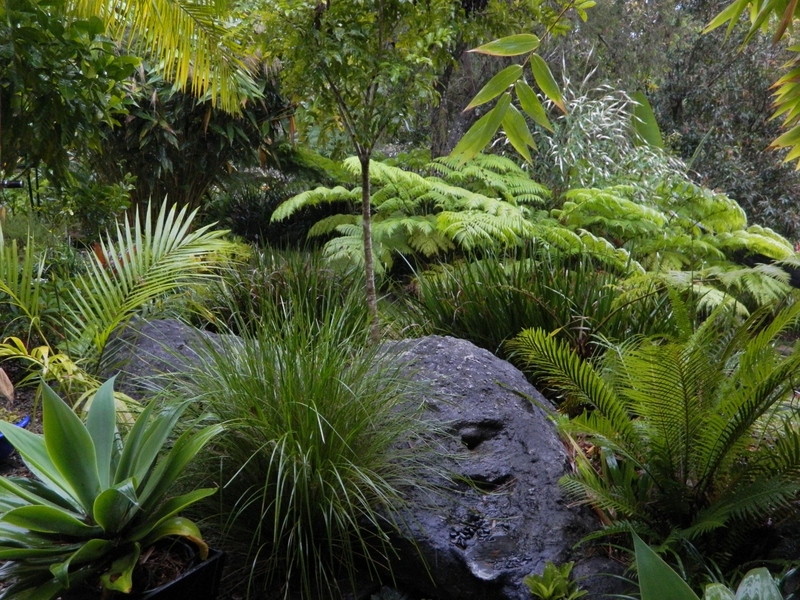 It has been been raining steadily for over twelve hours, the frog pond is overflowing, the ground is sodden, there’s a flood watch out for the Bellinger River, it’s a dark and dreary day … and everything is right with the world! I’m going to take at least partial credit for this rain, as I’ve almost finished rolling out over 200 metres of hose and 100 drippers in preparation for a second un-seasonably dry Spring. Of course, I should have done this a few years ago when first planting, but I was lulled into complacency by regular and bountiful rain. 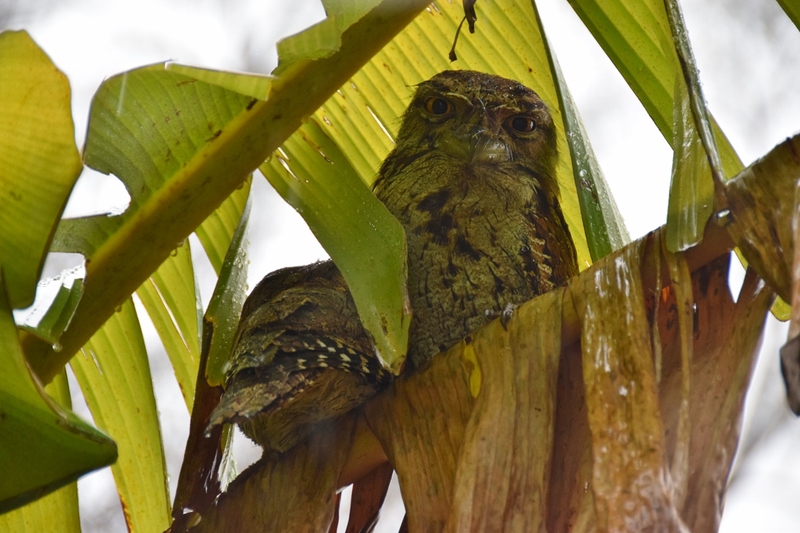 The birds aren’t too impressed with the rain, especially the Tawny Frogmouths who are still roosting under the leaves of a dying banana sucker. They look even more grumpy than usual if that’s possible? What determined – if foolish- birds. So pleased you got your irrigation system in in time. They have been absent for two days, but as it’s nesting season for Tawny Frogmouths, I hope they’ve gone off to find a more suitable tree!